Mean Green Training Center is not for everyone. Our gym is lead by passionate instructors that create a positive and encouraging atmosphere. The workouts are challenging and we love to see transformation in internally and externally. We are a family! What do you get when you mix an athletic genius, author, philanthropist, and consummate motivator together: Chris Green. 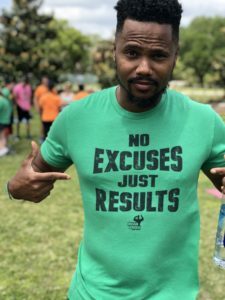 Since 2007, Chris Green has been the man behind the motto: “Believe, Achieve Receive” His “Mean Green” Bootcamps have become a household name to match his latest accomplishment of having “Houston’s Top Fitness Bootcamp” that services fifteen locations in the Metro area. Growing up, the Houston native’s talents were cultivated by a family that supported his goals both on and off the basketball court. His dedication and perseverance prevailed where Chris was awarded a full athletic scholarship and a degree in Communications from Houston Baptist/ Langston University. During his semi professional career with the Houston Takers (ABA) Chris earn his certifications in National Association Sports Medicine (NASM) and ISSA. Chris is never the one to toot his own horn, when it comes to personal achievements because his daily inspirations come from his family; especially his unwavering support from his mother, father and his siblings. 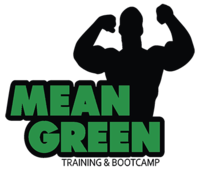 Some of “Mean Green’s” notable work in the fitness community are: being the celebrated author of Results: My 20 Best Kept Secrets for Getting The Lifestyle and Body You Want Now, a partnership with NFL Play60, American Heart Association, training professional athletes in the NFL and NBA during their off season, formulating strategic partnerships with several Fortune 500 companies, and making charitable donations to underserved families during the holiday season. As a millennial with a diehard entrepreneurial spirit, Chris strongly believes that when you engage clients in a wholesome atmosphere the internal and external results are endless. Never to be confused as a regular fitness trainer, Chris Green provides services for personal training, group training, motivational speaking, and webinars. Whether it’s promoting a healthy lifestyle or being the motivational factor for his clients, Chris gleams from ear to ear when reminded of their fearless journey to reach magnificent milestones in health and wellness. With a passion for achieving goals, Milton was always looked upon as a leader. He has a degree from University of Houston and played football for the power house North Shore High School. Due to an injury, he had to pass on the opportunity of playing collegiate football. However, the love of sports and training always stayed in his heart. He went into coaching football, basketball, and track with a middle school and a high school in the Houston area. With a passion for achieving goals, Milton was always looked upon as a leader. He has a degree from University of Houston and played football for the power house North Shore High School. Due to an injury, he had to pass on the opportunity of playing collegiate football. However, the love of sports and training always stayed in his heart. He went into coaching football, basketball, and track with a middle school and a high school in the Houston area. With15 plus years of coaching experience, he has help mentor and develop a countless number of people and has inspired them to reach their potential. Milton is very positive motivator and leader. He is committed to helping others receive their goals. People love his style for pushing you to become the better you. He does an awesome job of building your confidence to where you feel like you can achieve anything. His workouts are challenging, but with his support and energy, you will overcome any workout that he designs. Jason Miller, born in Houston Texas has always had a athletic lifestyle playing sports such as tennis for 13 years and rugby. He decided that he had that fitness itch in his body and 2 years ago tried to follow it. Changing his lifestyle to training others he left the oil field and turned to changing others lives. 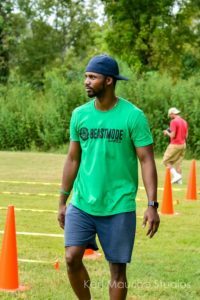 He worked at La fitness as a Fitness Director before joining mean green bootcamp. He believes that working out and getting healthy can be fun. Jason Miller, born in Houston Texas has always had a athletic lifestyle playing sports such as tennis for 13 years and rugby. He decided that he had that fitness itch in his body and 2 years ago tried to follow it. Changing his lifestyle to training others he left the oil field and turned to changing others lives. 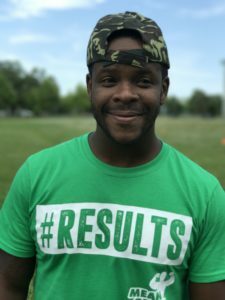 He worked at La fitness as a Fitness Director before joining mean green bootcamp. He believes that working out and getting healthy can be fun. Not that old way of screaming at someone to do the exercise. He believes that you can be pushed many ways to reaching your goal. Jason knows that no goal is impossible no matter if it 20 pounds or 200 pounds you can do it just believe in you. Changing his own lifestyle he learned that strength training cardio and a healthy eatting will get you right. He took this put it into his clients workouts and has seen that doing this has brought great results. Let’s Get Fit and have fun Doing it.